If you’re trying to lose weight you might have better results if you try with friends. 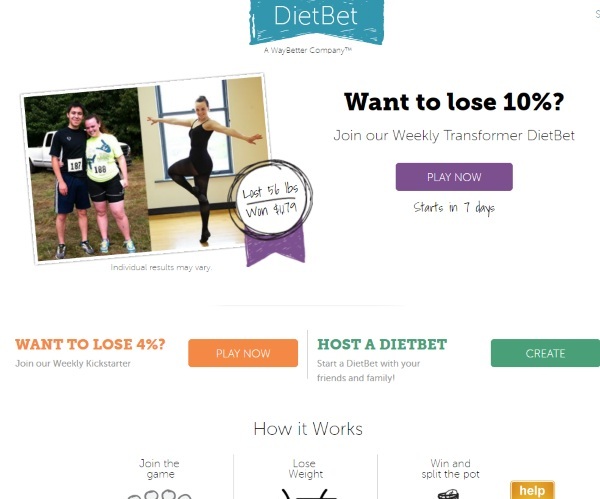 Going on a diet isn’t for everyone but if it’s still something that you want to pursue, check out DietBet, the website that pays you to lose weight (sort of). This is a website that lets you put up real world money to join a betting pool. You pick you goal (or start your own) and place your bet. If you reach your goal, you’re paid out of the pot along with anyone else who met theirs during that span of time. There are three different levels that span from one month to a full year. So it will be at least 30 days before you see a payout of any kind. This website if focused just on weight loss, if your goal is to increase physical activity or just encourage healthy eating habits in general, this is probably not the site for you. But if your focus is losing five pounds, then using this site may earn you some rewards at the end. DietBet has both Android and Apple apps and bets appear to start at $25.